Complex young Barbaresco from Piemonte. A good level of tannin and the perfect red to accompany any dish containing truffle or wild game. Food pairing: Red meat, wild game, matured or spicy cheeses. The perfect wine to have with truffles. 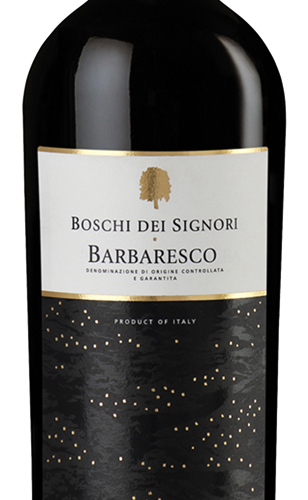 With grapes grown in soil rich in organic substances, the Barbaresco is fermented in stainless steel for 11 months followed by French Oak for at least 12 months. Grapes are not harvested until the first autumn fog (nebbia means fog), a practise which historically led to intensely tannic wines that required years of ageing before onto the finest tables. Complex when young, maturing into a warm and intense wine with a long finish. Serve at room temperature and pair with red meat, wild game or matured and spicy cheeses. The perfect wine to have with a truffle dish.